We are so excited to announce that our 2nd Annual Bowling Bash is right around the corner. Last year was a blast! We raised over $2000 and had over 75 attendees. We are looking forward to a great night out full of food, fun and raising lots of cash for local cancer support groups in South Florida. 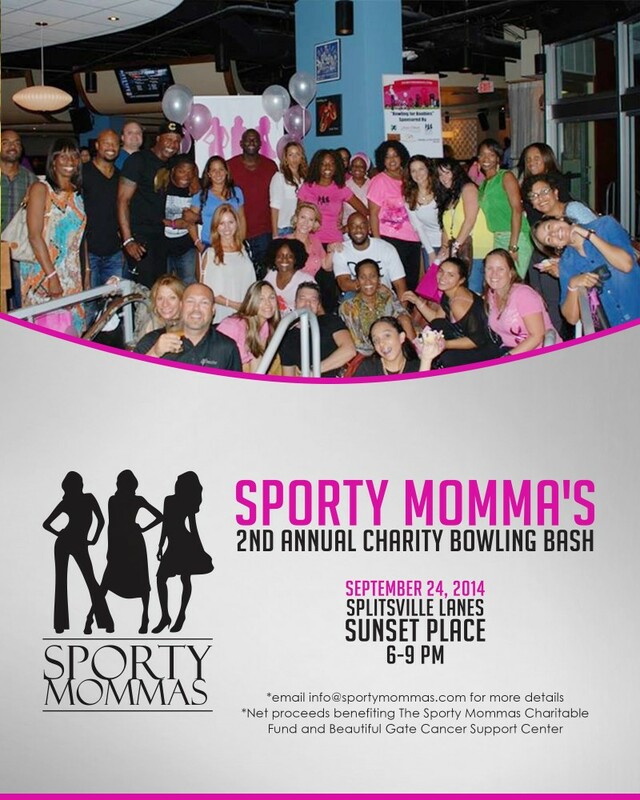 If you are interested in becoming a sponsor please email info@sportymommas.com. More details coming soon. This is an adult only affair!